How does Extra Space work? Access your storage whenever it suits you. What are the benefits of using Extra Space? There’s no waiting – you can move in on the same day you sign up. No locked-in, long term commitment – You pay monthly and we just ask for seven days notice when you are leaving. Only pay for the space you need. We have a range of storage spaces available to meet your needs so you don’t end up paying for storage space you won’t use. Limitless access – You can access your space every day of the year and any time of the day. Your belongings are safe – Thanks to our 24 hour CCTV, swipe card access electronic gates, security fencing and well lit premises. The cost depends on the size of space you need. To figure this out, contact us or use our online size calculator. Prices start from $33 per week. What’s included in the price? Are there any other costs? The price includes your storage rate, GST, utility bills and maintenance costs. 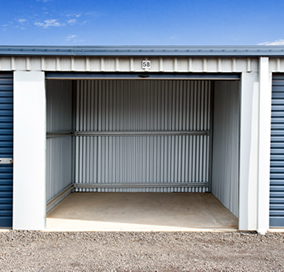 A refundable security deposit of four weeks’ storage rate is payable when you begin storing. This is returned when you vacate. You will also need a padlock to lock your space and it is highly recommended that you insure the goods you are storing. What type of documentation do I need to rent a space? To rent a space, you need to show a valid driver’s license. We regularly run offers for new and existing customers. See our Specials Page or contact us for more details. What is the minimum time that I can store with Extra Space? The minimum storage period is seven days. How long will it take to complete my transaction when I move in? The process is easy and usually takes about 10 minutes. We accept cash, Visa, MasterCard and all major credit cards. We also offer convenient monthly automatic credit card withdrawal, BPay and direct debit. You can also make payments online or over the phone. We invoice customers every calendar month, payable in advance. We refund any unused storage charge when you vacate. Will I need to sign a lease? No, you don’t need to commit to a lease but you need to sign the Self Storage Facility Agreement. This is the self storage contract provided by the Self Storage Association of Australasia and is widely used in Australia. Our staff will talk you through the contents of this simple agreement so that you understand the key points you are agreeing to. Do I have to give notice when I want to leave? You only need to give seven days notice when you wish to vacate. You can notify us in writing by email or post. When you vacate, we refund your security deposit and any money you have paid for unused storage. What happens if I need a smaller or bigger space? You are welcome to move to another size space depending on availability. Insurance is the customer’s responsibility and we recommend that you insure the goods you are storing. You can carry your own insurance (check your homeowner’s insurance policy in case you are already covered). Or apply for insurance coverage from a provider specialising in self storage insurance. How high are the ceilings in the storage spaces? The floor-to-ceiling heights of our spaces are either 2.4 metres or 3.0 metres. Please contact us for more information. Do you give me a key? We provide you with a swipe card that gives you access to the facility whenever you need it. However, you provide the padlock and key for your storage space. This means that only you can access your storage space. We sell high quality padlocks or you can purchase one easily from the local hardware store. What am I prohibited from storing at Extra Space? What are some good storage hints and tips? Put the items you think you’ll need most often at the front, near to door. Leave refrigerators and freezer doors open or slightly ajar to prevent mildew. Cover your items with dust streets – don’t use plastic covers because they retain moisture. Label your boxes on the sides and top for easy reference. Don’t share your swipe card with anyone that is not listed on the agreement. Purchase insurance to protect your belongings or confirm that your homeowners or renters insurance covers your belongings while in storage. Pack heavy items (i.e. books) into small boxes. This will make them easier and safer to lift. Store mattresses, mirrors and paintings on long edges rather than flat to protect them and save space. Use similar sized boxes so you can stack them on top of each other and maximise space. Use good quality storage boxes so the bottoms don’t collapse when you are moving or lifting them. To reinforce the bottom of cardboard boxes, criss-cross packaging tape on the bottom of the box. Avoid unwanted guests by not storing food items. Whenever possible, disassemble items like table and bed frames to save space. Stack heavier boxes on the bottom and lighter boxes on the top to avoid boxes getting crushed. Whether you're moving house or moving a house - we're got plenty of different options and sizes to suit your needs! Our modern self storage units in Melton & our self storage in Wodonga have 7-day access, security cameras and a PIN-coded gate system for your piece of mind. So if you're running out of space, give Extra Self Storage in Wodonga or Melton a call on 1300 799 774. Whether you're storing a car, household goods or a stack of archive boxes for the office, it can sometimes be tricky working out exactly how much space you need. Perhaps give our handy Space Calculator a go? Simply enter the quantity of certain items you have and it'll give you a guide as to how much space you should be aiming for. View our Contact page to see full contact details. Copyright © 2016 Extra Space Self Storage in Wodonga & Melton | Website setup & hosting by Big Budda Boom.